I have returned from my annual trip to the FHU Bible Lectureship and now I am trying to play catch up. I have so many things going on that I'm loosing track of the most important, like getting this reminder out to you! If you need to look at the brochure before ordering, just click here. If you need anything from the previous two campaigns or saw better prices there, let me know to back order from those. Pg. 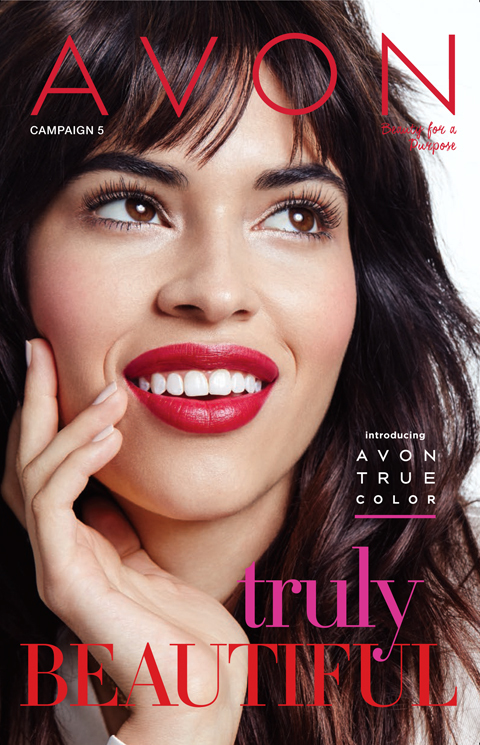 7, NEW Avon True Color Nourishing Lipstick, available in 10 beautiful shades and intro special price of $5.99. Pg. 9, NEW Avon True Color SuperExtend Nourishing Mascara, available in 3 shades, including Navy!, and also intro special price of $5.99. Pg. 13, Glimmersticks Brow Definer (3 new shades have been added) and Eye Liner are $4.99. Don't forget that we no longer carry the Luxury Liners (the ones you sharpen), so Glimmersticks are the recommended replacement. Pg. 22, Always on Point Eye Liner is another good option and available for the same price - $4.99 - in four shades. Pgs. 26/27, Flawless Liquid Foundation, Cream-to-Powder Foundation, Pressed Powder, and Loose Powder are each $8.99 this campaign. Pg. 29, Be Blushed cheek color is in a new package and now recommended for lips as well. Hmmm.... there's an idea to try. The price is $7.99. Pg. 33, Beauty Balm Cream is available while supplies last. I don't know if it will be reintroduced at a later time, so get it while you can at $10 with a Buy 1 Get 1 for $2.99 offer. Pg. 49, Anew Ultimate Skin Care items are $19.99 each. I have it on good authority, as in Avon has announced it, that Anew Skin Care will not be offered at this low sale price much longer. I believe what I heard was that the lowest it will go will be $21.99, so this might be a good time to stock up. Pg. 61, Anew Clinical Absolute Even Dark Circle Corrector is $17.99. I need to put this one on my own order, as mine is just about empty. Absolute Even Multi-Tone Skin Corrector is on the same page for $21.99. Pg. 63, All Anew Cleansers are on sale! Pgs. 76/77, The Imari and Far Away fragrances (3 variations of each) are each $11.99. Pg. 135, Senses Blushing Cherry Blossom Collection - a breath of fresh air as we look toward spring - all 5 items for $12.99. Pg. 149, SSS Supreme Nourishment Triple Phase Body Oil is only $9.99. You will love this luxurious treatment with macadamia, argan, and babassu oils to nourish, protect, and hydrate skin. Back Cover, SSS Shower Gel is $1.99 and available in three scents. p.s. Do you want to share these offers with your own customers and see how much fun being your own Beauty Boss with Avon can be? I'd be happy to mentor you to success as a member of the Cloud Climbers team!